The Cold Case of Alexander the Great: Have Toxicologists Finally Explained His Untimely Death? It might be a surprise to learn that Alexander the Great was only 32 when he died in Babylon in June 323 BC. In a short period of 12 years as ruler he managed to create an empire stretching from modern Albania to Pakistan. As much as we know of his achievements as a fearsome general, we still have no conclusive cause of his untimely and unexpected death. He did not die in battle as might be thought the appropriate and honorable end for such a conqueror. He died at home of an unknown malady after being taken sick during one of his celebratory feasts. People attempted to present diagnosis for his sickness over the 2,000 years post mortem, suggesting diseases like typhoid or malaria would fit the symptoms but they are mostly found lacking. A very different possible cause of death was examined by research undertaken by New Zealand and UK toxicologist team a few years ago, and it seems to fit the case well. Alexander III of Macedon was born in Pella in 356 BC and was educated by Aristotle until the age of 16. Succeeding his father King Philip II, he became king of Macedon, an ancient kingdom on the northern edge of classical Greece. The small kingdom of Macedon had grown powerful under the rule of Philip II and continued to prosper under Alexander’s reign. Having created a kingdom stretching from the Ionian Sea to the Himalayas by the age of 30, Alexander is considered one of history's most successful commanders. He conquered the whole of the Persian Empire and his ambition even drove him to invade India in 326 BC. This invasion was thwarted and he eventually abandoned it turning back west. He is credited with founding some 20 cities bearing his name, including Alexandria in ancient Egypt, and both spreading Greek culture east and bringing some Eastern culture back with him. It was when on the verge of executing a plan to invade Arabia that he fell sick and died after a long 12 days of resistance. Alexander the Great: Was he a Unifier or a Subjugator? The Romance of Alexander the Great: Are the Legends Really True? Historical records report that Alexander was holding a memorial feast to honor the death of a close friend. Halfway through the revelry, he suddenly experienced intense pain and collapsed. He was taken to his bedchamber where, after days of agony, high fever, convulsions and delirium, he fell into a coma and died. For the team led by Dr. Leo J. Schep to make their analysis, the exact symptoms observed before death were crucial. His initial systems were described as agitation, tremors, stiffness in the neck, and sharp pain in the area of the stomach. He then collapsed and suffered acute and excruciating agony wherever he was touched. He experienced an intense thirst, fever and delirium, and throughout the night he experienced convulsions and hallucinations, followed by periods of calm. In the final stages of the condition he was mute, although he could still move his head and arms. Ultimately, his breathing became difficult and he died. Based on this circumstantial information, theories have been put forward for the cause of death for what now amounts to over two millennia. The four most popular theories concerning his death are: Malaria, typhoid, alcohol poisoning, or being intentionally poisoned by a rival. Three can probably be discounted. Could he really have been slain by a mosquito? Malaria is carried by mosquitoes that live in jungle and tropical locations, but not in desert regions such as central Iraq where Alexander died. Typhoid is transmitted by contamination of food or water by bacteria, causing widespread infection and even epidemics and not just single, individual cases. No such outbreak is recorded in Babylon at the time of Alexander’s death. The main effect of alcohol poisoning is continual vomiting, but not once do any of the historical sources mention vomiting or even nausea as one of Alexander’s symptoms. Did the Trusted Ptolemy Murder Alexander the Great? So, what could have taken down the mighty Alexander who had during 12 years of campaigning in Asia endured hardships, combat and poor living conditions with no sign of weakness. 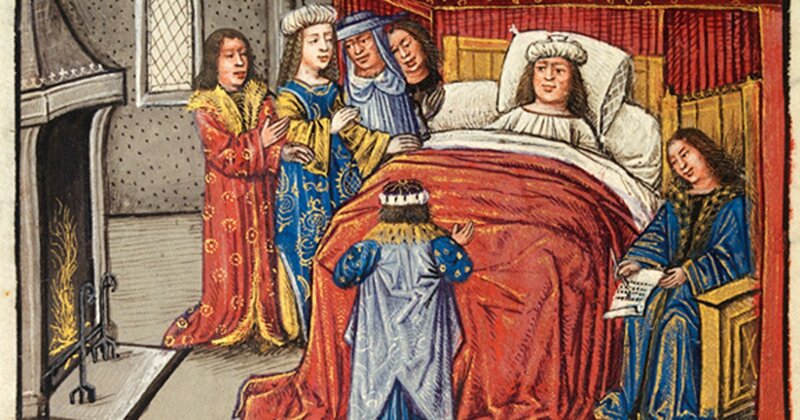 According to the historical accounts, Alexander’s body failed to show any signs of decay for six days after death, even though it was kept in a hot, humid place. Was the body preserved by a lethal dose of a toxic substance? If so, this suggests that Alexander the Great was poisoned. And this is where Dr Schep and the toxicologists come in. If Alexander was poisoned, what was the killer ingredient? After an extensive research project conducted by Dr Leo Schep from the National Poisons Centre in New Zealand suggests that if poison was the cause, the most likely scenario is that Alexander died from drinking poisonous wine from an innocuous-looking plant that, when fermented, is incredibly deadly. Dr Schep, who researched toxicological evidence for a decade, examining possible lethal toxins and their effects, deemed the earlier poisoning theories such as arsenic and strychnine as implausible. The death would have come far too fast, not over the drawn out 12-day period indicated by records. Other poisons that were candidates like hemlock, aconite, wormwood, henbane and autumn crocus also did not match the particulars of Alexander’s case. 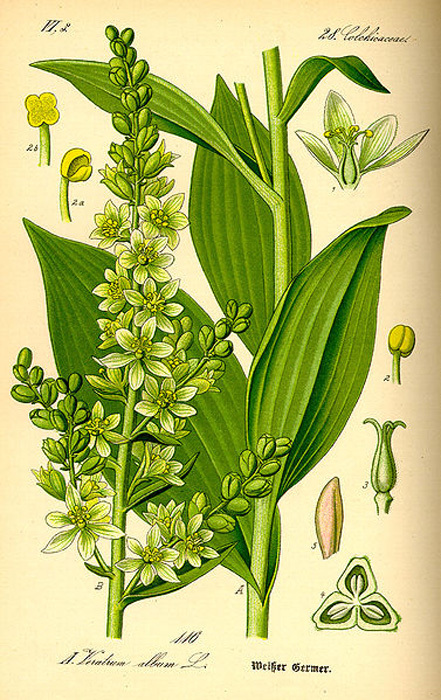 Having considered many possibilities, Dr Schep’s research, co-authored by Otago University classics expert Dr Pat Wheatley and published in the medical journal Clinical Toxicology, found the most plausible culprit was Veratrum album, known as white hellebore. This white-flowered plant was well-known to the Greeks as a herbal treatment but can also be fermented into a poisonous wine. Dr Schep's theory was that Veratrum album could have been fermented as a wine that was given to Alexander, who was a dedicated drinker. It would have tasted 'very bitter' but it could easily have been sweetened - and the drunken Alexander would be unlikely to notice as he quaffed it down. The symptoms caused by consuming the plant match very well with the description of what Alexander experienced over the 12 days before he died. This does not offer us any proof that some unknown member or members of Alexander’s entourage conspired against him and administered a poison that led to a lingering and painful death. It does, however, give us the most viable assassination method used if it was indeed a homicide. It proves that the symptoms are explainable by poisoning. There have been documented cases of people accidentally poisoning themselves with veratrum album and their symptoms matched those of Alexander’s in many ways. In 2010, Clinical Toxicology published a paper about four people in Central Europe who thought they were eating wild garlic. In about 30 minutes they were throwing up, in pain, partially blind, and confused. They had in fact eaten Veratrum album. There were two distinct observable differences to the case of Alexander. The four on record all vomited and went on to survive. 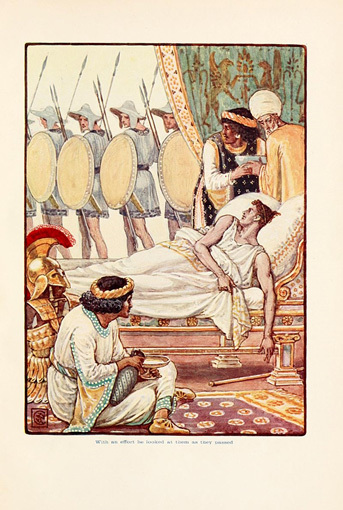 Alexander was not recorded as vomiting and died. If he had ingested poison, it is possible that his natural defense reflex to purge his body of the toxin in his stomach failed, perhaps due to his reported propensity for heavy drinking. With no corpse available to examine for toxins, the theory cannot be proven, but the study seems highly plausible. Interesting, that Cassander, who later poisoned Roxana and Alexander IV to take over the throne, had just recently arrived in Babylon. Alexander had humiliated Cassander, after Cassander had laughed out loud at the obeisance ritual Alexander held every morning. My money for poisoning would be on him.